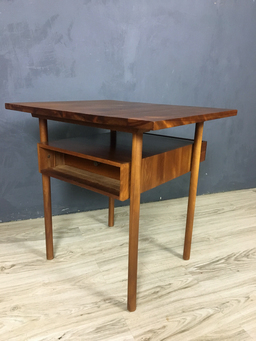 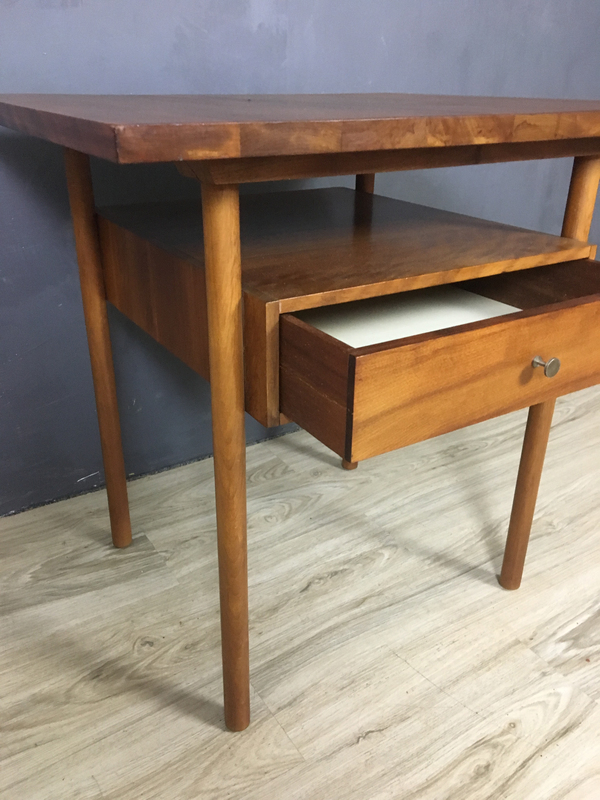 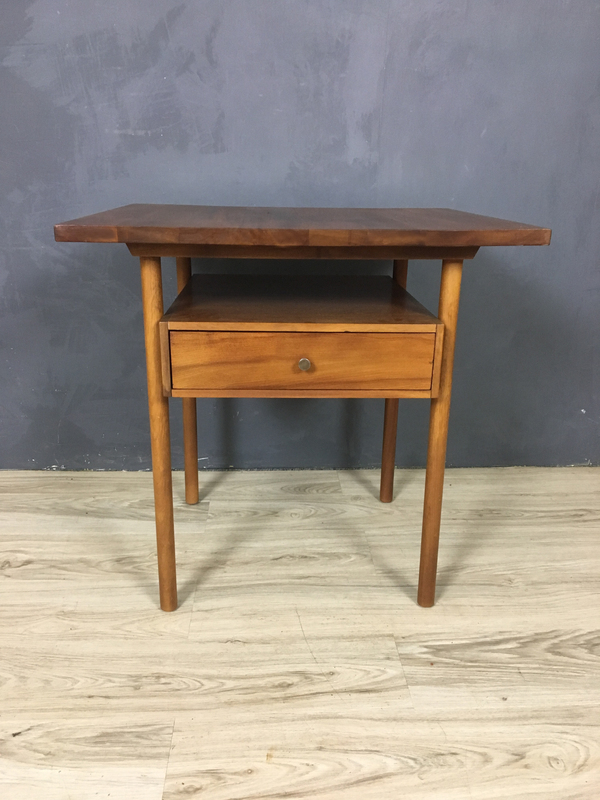 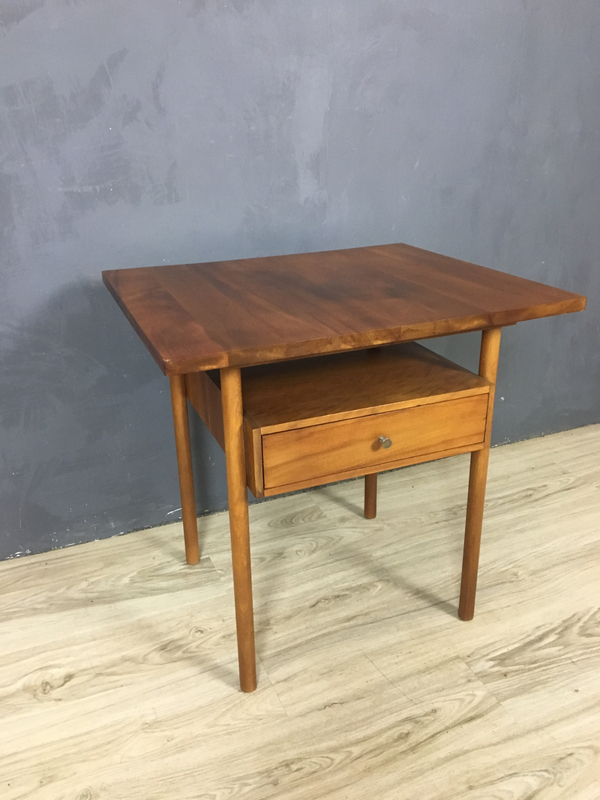 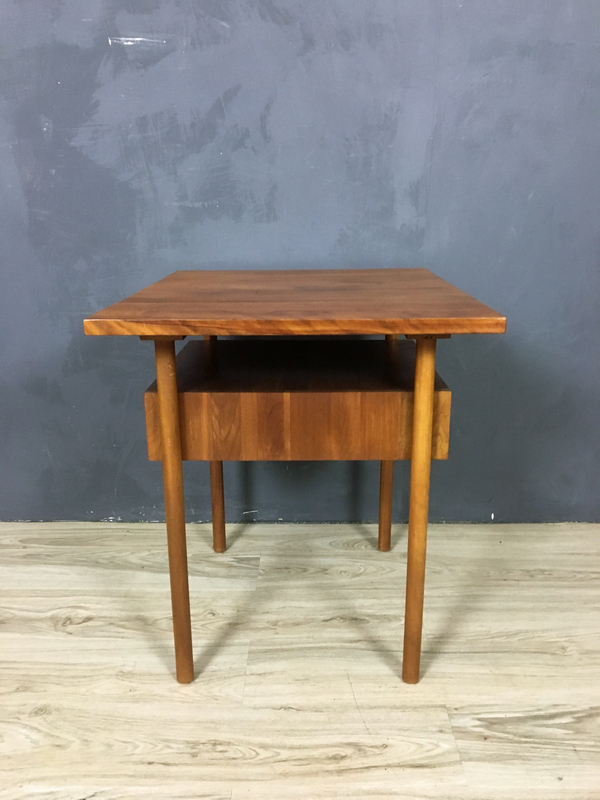 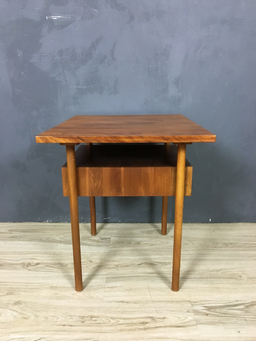 Manufactured by Whitney Furniture Company, makers of fine furniture in the mid century, this unusual end table features a drawer that pulls through both sides. 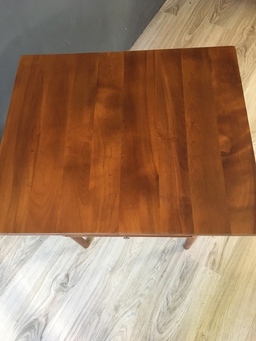 The table is solid walnut and is in excellent condition. 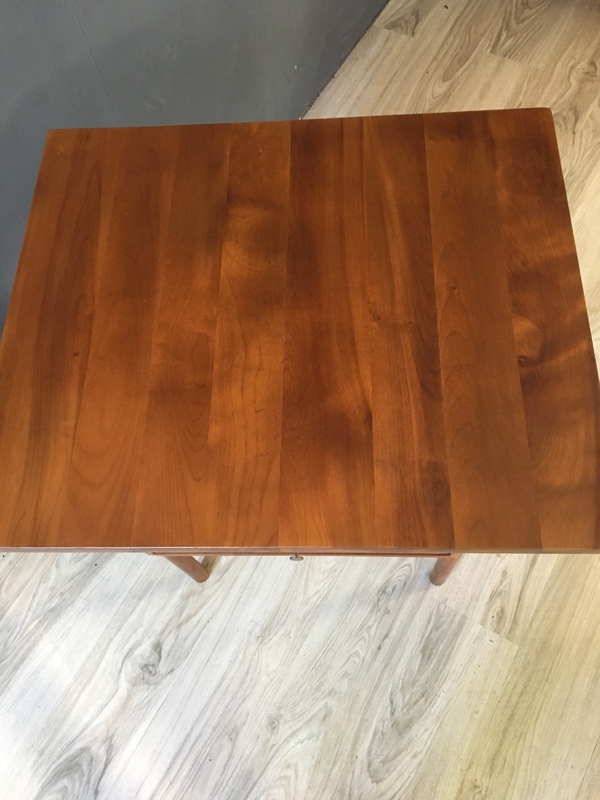 Top has been refinished to match the original color and sheen. A little beauty with a unique personality.